The accolades lavished on criminal action video game "Grand Theft Auto 4", long expected to be the best-selling game of 2008, pushed Take-Two shares as high as $27.10, more than a dollar higher than the $25.74 per share offered for the company by rival Electronic Arts Inc. It was the highest level for the stock since February 28, when it touched $27.61 three days after Electronic Arts went public with its $2 billion hostile bid. These ratings are quite extraordinary. It's something special and helps critics to understand why Take-Two was so confident and adamant that they wanted to wait. Many analysts have long said EA may have to raise its bid by a dollar or two per share. Take-Two and Electronic Arts were not immediately available to comment.The Tuesday launch of "Grand Theft Auto 4" is expected to be the biggest entertainment event of the year, with first-week sales of up to $400 million. 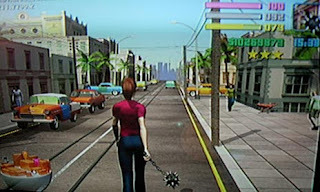 Scores on gaming review aggregation site Metacritic.org show the game, in which players work for a crime syndicate in a fictionalized New York, is on track to be the highest-rated video game of all time. 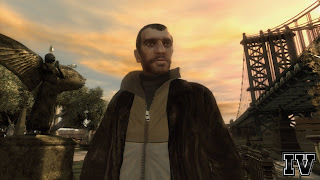 Based on more than a dozen reviews so far, the version of GTA4 for Sony Corp's PlayStation 3 game console has scored a perfect 100 while that for Microsoft Corp's Xbox 360 has achieved a score of 99.